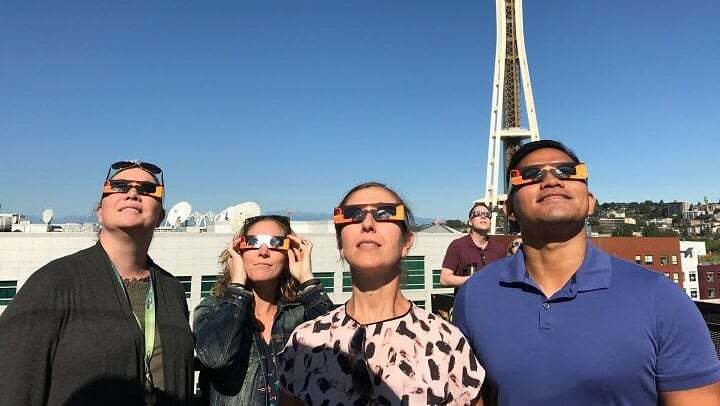 Unless you've been in the dark (ha ha), you know there was a solar eclipse today! 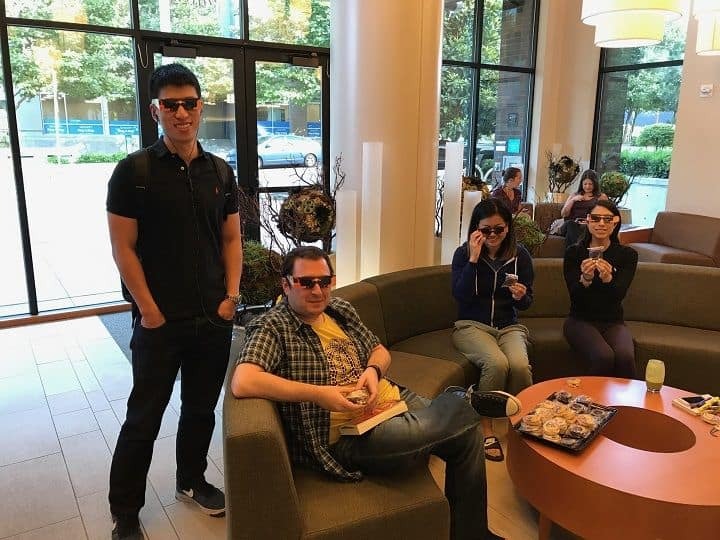 We knew there were some shady glasses out there for the 2017 solar eclipse viewing and we wanted to be sure, beyond a shadow of a doubt, that our residents could view it safely. 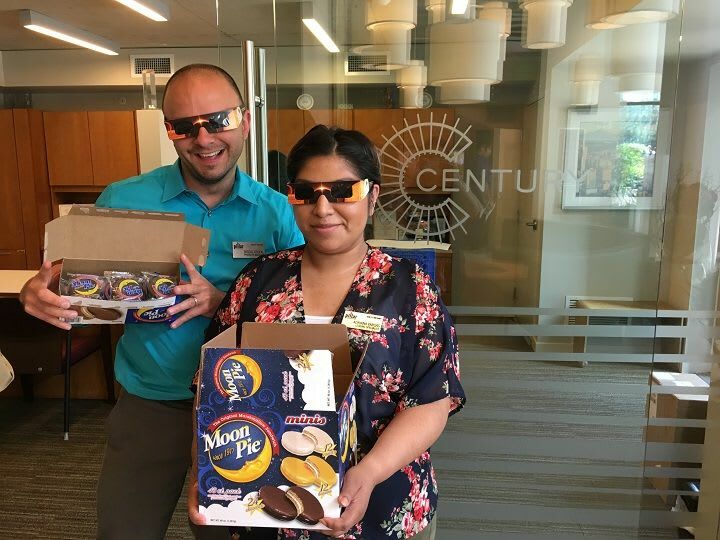 So we had the compliant solar eclipse glasses in our leasing office as well as moon pies for residents to pick up before the eclipse began! 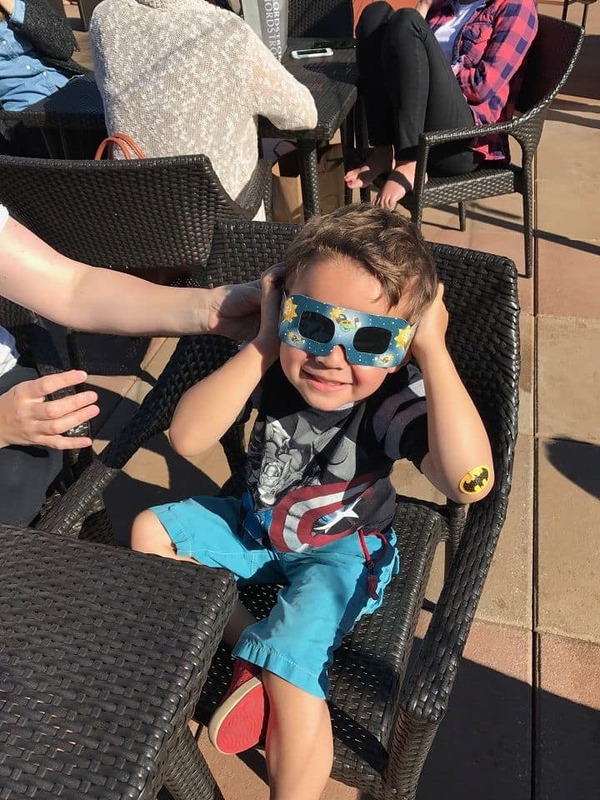 With supplies in hand our residents headed up to the rooftop deck for prime solar eclipse viewing! 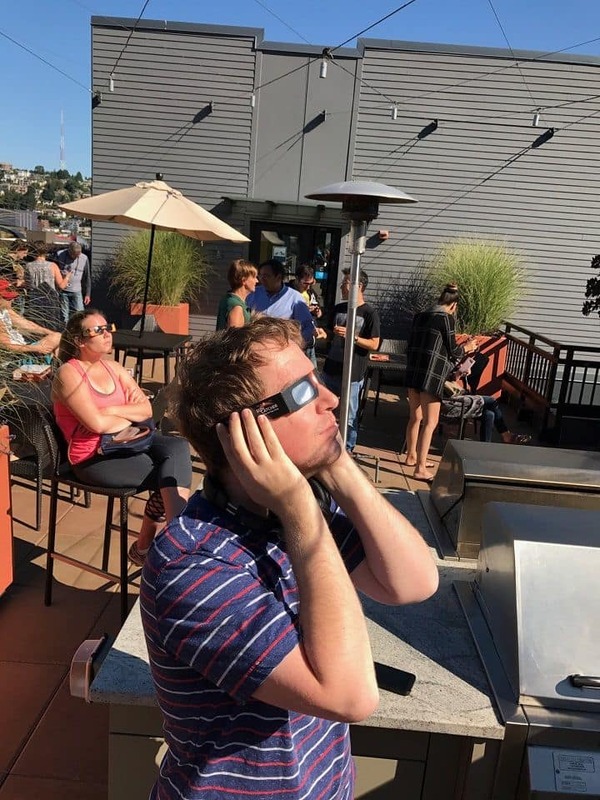 It may not have been totality but it was totally awesome!